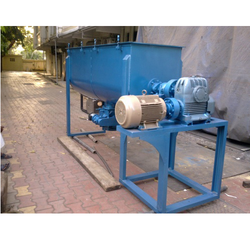 Usage/Application: Food,Chemical & Minerals etc..
Capacity: Mixing vessel in SS. - Rpm of Tank: 4 0rpm. 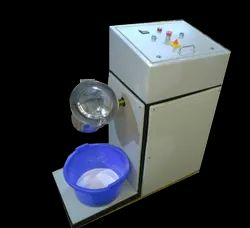 Special Features The tumbler mixer is especially designed to mix color pigment with pp resin effectively in a short time.It's operation is uncomplicated with very few problems. Electricity consumption is quite low.Stable mixing is possible. For blending, mixing, colouring etc. of raw materials for injection/ blow/ extrusion, for thorough mixing of reground/ pelletised scrap with scrap with virgin raw material (in granule form).